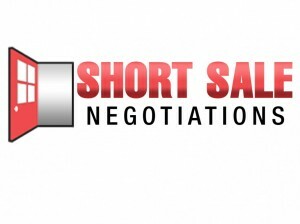 You’ve heard the stories of how certain neighbors got a great deal on a real estate short sale? Later, when you’re talking to your spouse or family, you might wonder how they accomplished that. How did they know what to offer to the homeowner in order to get their offer accepted? Believe it or not, there is a trick to it. Nobody wants to be offered a lowball number even when they’re in a financial hardship. If you know the approximate value of the houses for sale, you’ll be able to give them a short sale offer that is fair to both parties. Then, if they are entertaining more than one offer at the same time, you’ll have a better chance of success. A lowball offer is between 10-15% lower than the value of the house. Anything above the 10% mark is a negotiation value depending on how attached they are to the home and how quickly they want to get out from under it. However, once you cross that percentage line, they are probably going to see you as some kind of shark. This will not earn you a great reputation, especially if you’re in the business of browsing the real estate listings and flipping houses. You also need to look at how much work and money is required to make the house livable. The seller knows this problem exists and they know it’s going to affect the price. By getting an inspector to give you a detailed report, you can get approximate estimates on how much this work will cost. Then, you can deduct that amount from your offer and have documented justification for doing so. So maybe your offer is just a tad too low to be accepted easily by the seller. In these situations, they will often come back with a counter offer. Look at how much higher it is and then see how that fits into your current budget. Consider that you’re probably still getting a great deal because you don’t have to pay thousands of dollars more for a brand new home. The tricks of a short sale will give you a leg up in terms of finding the house you like and being able to purchase it fairly. Everyone should walk away from the deal feeling great, and you can make sure that happens by offering a fair price. In order to do that, you should understand what comprises a good offer in the first place.